I will be trying on my very first wedding dress next week!! I can hardly believe it! I am so excited, nervous, and curious, and... well, EXCITED! After staring at dresses online and in magazines for the last 7 months, I am overwhelmed with beautiful designs and concepts. But I haven't the slightest clue what will look good on me. Beyond that, my wonderful yet fashion challenged fiancé has a very different idea of what sort of dress I should wear. He prefers a simple, strapless, pure white dress. I prefer something different, something vintage, off-white, and lacey. But lace reminds Kyle of his grandmother's tablecloth. Being a vegan bride, I've spent months researching silk-free dress options. 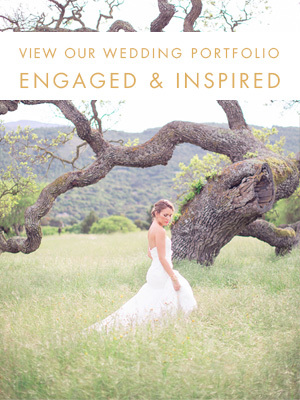 I've contacted designers, bridal salons, and scoured through websites looking up materials. Thankfully, people have been so helpful and accommodating! Here are a few of my favorites that I will be trying on next week. Jenny Packham has been my favorite designer from day one of virtual dress window shopping. She makes such beautiful, vintage inspired gowns, it kills me. So you can imagine how thrilled I was when they said several of her dresses are made from synthetic materials! Of the ones I told her I liked, she said that they could make Arabesque, Iris, Willow, Luna, Belita, and Eden without silk. I'll be trying on the two above, Eden and Willow, next week as well. Amy Kuschel is a local San Francisco designer who offers a silk-free option on several of her gowns, to help make buying a tailor made wedding gown a bit easier on the budget, and she kindly lists the materials in each dress on her website. She's also a nice eco-friendly option for Bay Area girls since all of her dresses are made locally! I will be trying on Lauryn and Paris next week, but above are two of my favorites that I hope to try soon. How did you feel before trying on your first wedding dress? Should I try on my favorite one first or last? What happened when you tried on your very first dress? Did you cry? I think I'm going to cry... I tend to do that. I'll be sure to update you after the big dress day.